Ideal for banks, post offices, small meeting rooms, reception desks, ticket booths and any other application requiring restricted or small area coverage. 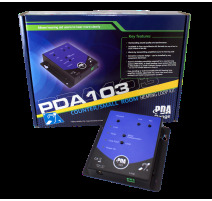 Includes a 3.5mm microphone input (for use with the AMT microphone supplied) and a line/outreach socket. Adjustable drive control allows the amplifier’s output stage to be set-up to suit the exact characteristics of any room. 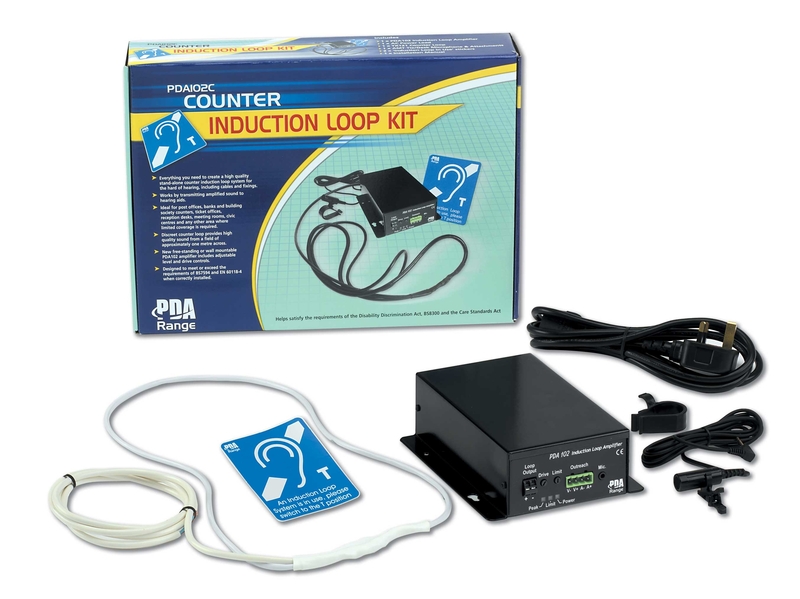 State-of-the-art audio processor features an automatic gain control which compensates for poor microphone techniques and helps suppress loud noises, hisses and clicks. Designed to be free-standing or wall-mounted using the keyholes provided. Type Free-standing/wall mountable. Plugtop mains lead supplied. Auxiliary inputs 1 x 3.5mm remote mic. socket; 1 x Line/Outreach socket. 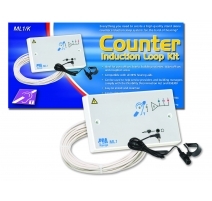 Indicators Input level; loop current; power on. Controls Combined input level; loop drive. Construction & finish Black metal. Product dimensions: 136 W x 56 H x 178 D mm. Designed to be free-standing or can be wall mounted using the keyholes provided.